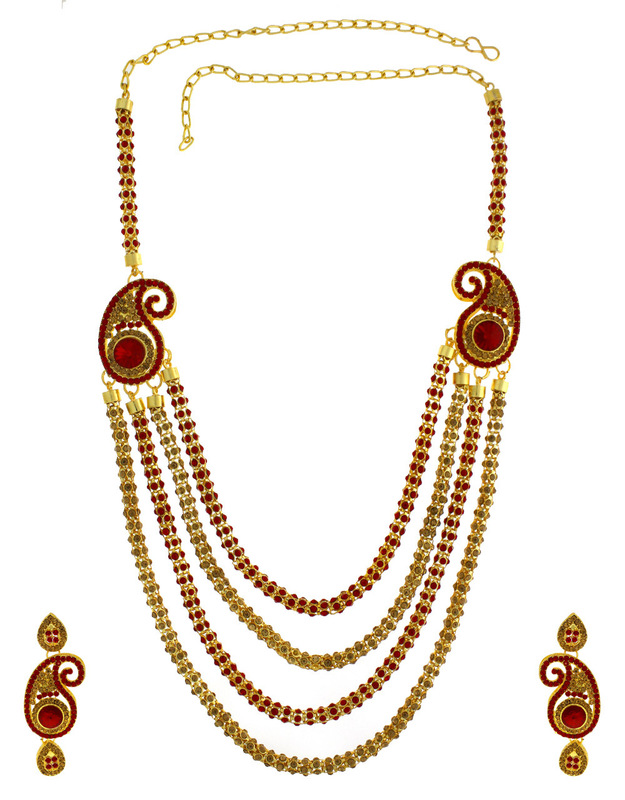 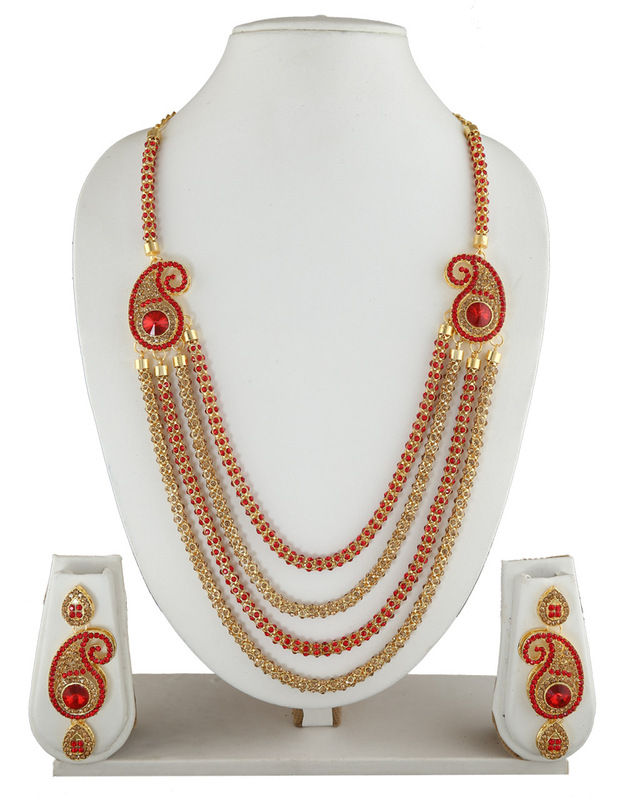 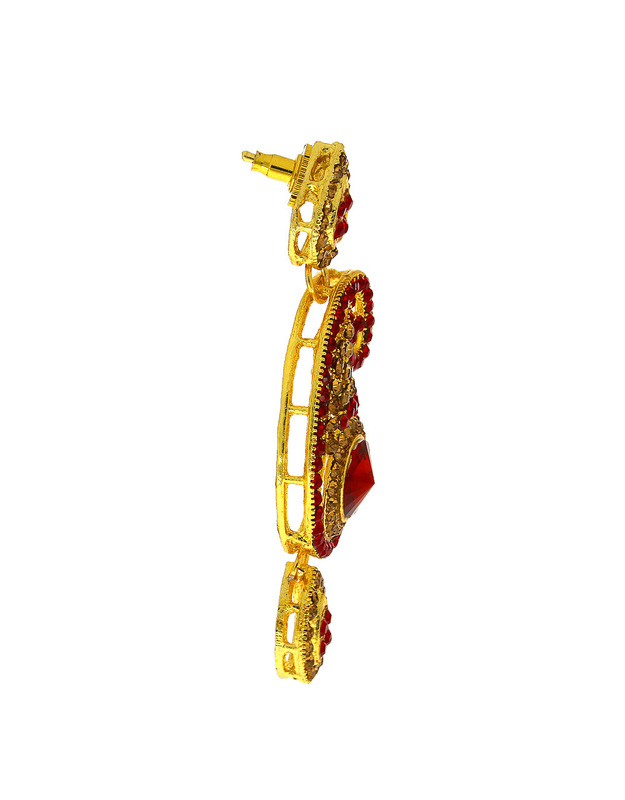 Anuradha Art Jewellery offers this golden-red combination designer necklace set for fashion conscious women like you. 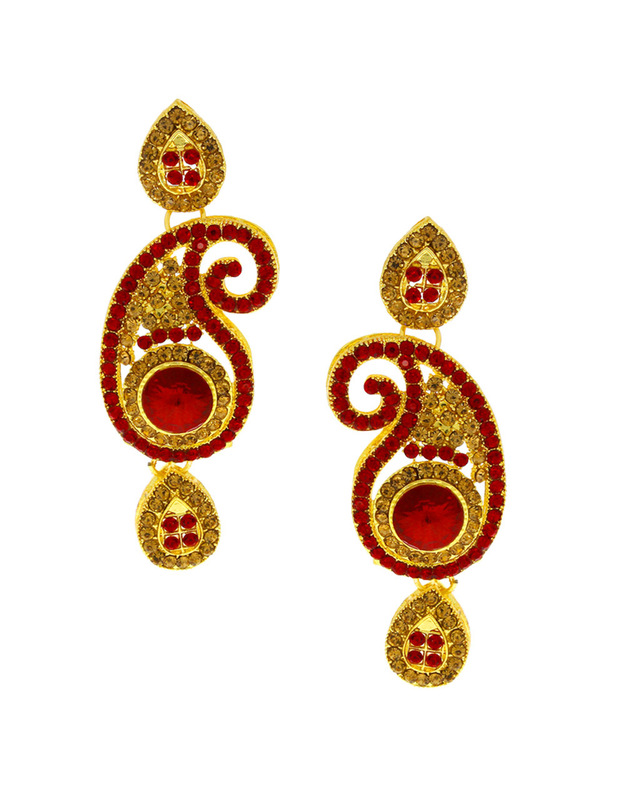 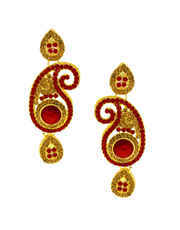 It is decked with sparkling golden-red colour stones and made from metal. 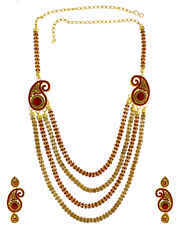 This stylish necklace set is good in quality and will be your fashion companion for many years. So order now!